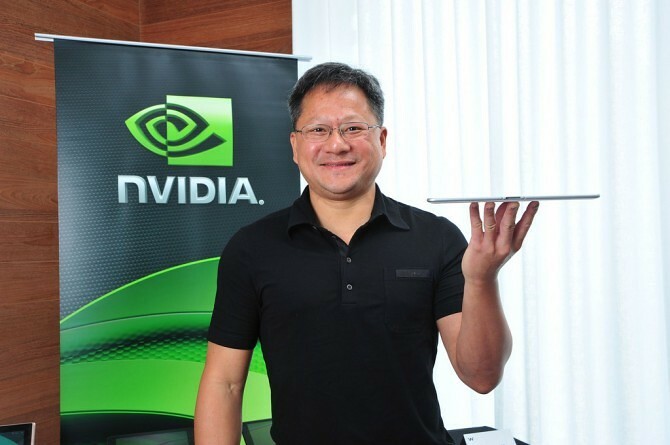 Nvidia’s boss Huang Jen-Hsun certainly knows a thing or two about tablets and the semiconductor industry. His company’s Tegra-branded chips have risen in a short period of time as the go-to silicon for mobile devices, even though Tegra processors don’t power the one tablet to rule them all. You will not credit Intel for such an important feat, but Nvidia and its processors of the future, he argued. This won’t sit well with the Intel camp. The leading chip maker has unleashed a barrage of announcements at the Computex show yesterday, arguing they are the force to be reckoned with in the mobile arena. Meanwhile, Nvidia is talking numbers. In June, boss said, the company will have sold its tenth million Tegra chip. Even though Apple pushed out Nvidia chips from MacBooks and iMacs, Jen-Hsun isn’t the one to shy away from praising Apple’s best-selling iPad. At the same time, he has been promoting the five times performance increase and graphical prowess of the upcoming Tegra 3 tablets, which are expected to hit the market in a few months.